Source: U.S. Energy Information Administration, Electricity Monthly Update. 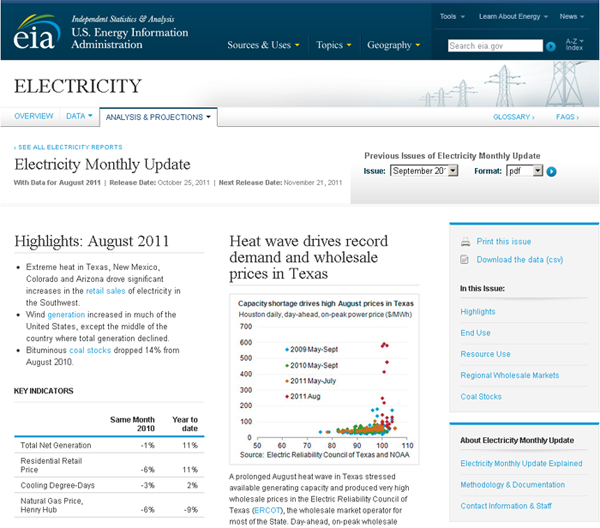 Yesterday, EIA launched a new web-based report called the Electricity Monthly Update, replacing the Monthly Flash Estimates for Electric Power Data. This new product introduces a feature story, interactive graphics, a new presentation flow, and new electricity industry data sources.